Liverpool comedian John Bishop has signed a first look deal with BBC Worldwide for his independent production company Lola Entertainment. Bishop set up the London-based indie last year to produce series such as his Big Deal and Big Year for the BBC, as well as one-off ITV comedy Panto!. The deal is one of the most significant the BBC has agreed in the last year, according to Broadcast. 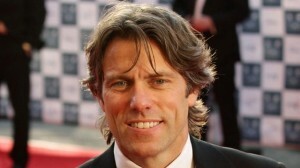 Lola also produces John Bishop's Only Joking, in association with Channel X, for Sky1. Bishop set up the firm with manager Lisa Thomas, who owns 50% of the company, while Jonno Richards is creative chief and Susi Hollins is head of production.